A real treat for fans of historical fiction. Jana Petken’s new book set during the Spanish Inquisition was a real eye opener for me. 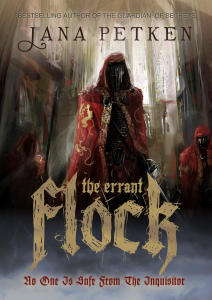 My new novel, The Errant Flock, is purely fictional, and set against the backdrop of The Spanish Inquisition. I found the subject fascinating and disturbing, so much so, I was in danger of wanting to cram factual data into the story. I didn’t. Instead, I allowed the fiction to overshadow historical facts and figures, but at the same time I incorporated various situations for my characters, some, which I believe, could have taken place during this terrible period. An interesting post, and a topic that is always intriguing. Thanks for sharing. Hugs!